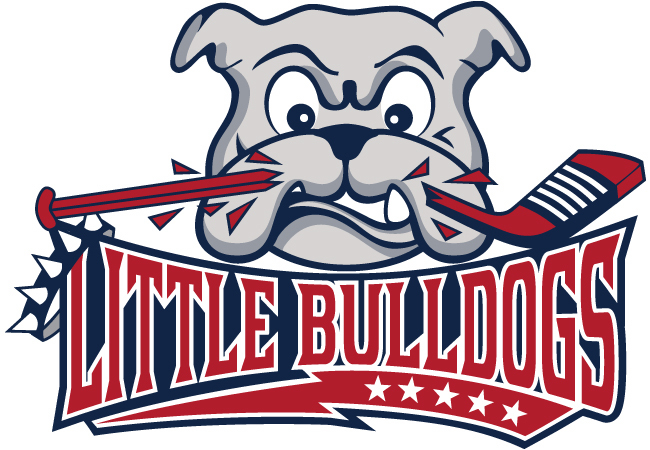 The Little Bulldog's Beginning Hockey Program is managed and facilitated by the New England Bulldogs Hockey Program. Basic Skating ability is required, as this is a program geared toward an introduction to beginning hockey. "It is our goal to afford the opportunity to as many young athletes possible to participate in the sport of hockey"
What makes the Little Bulldogs Program a Great Place for any young Hockey Player? Instructors / coaches that have had extensive training and experience coaching children at this age and ability level. Instructor / Coaches that understand how to motivate any child/skater by being creative and fun with just the right amount of competitiveness. Creative, Innovative, and Challenging drills designed Toward Continual Improvememt and Having Fun. This program is geared toward children ages 4 - 9 with basic skating ability.